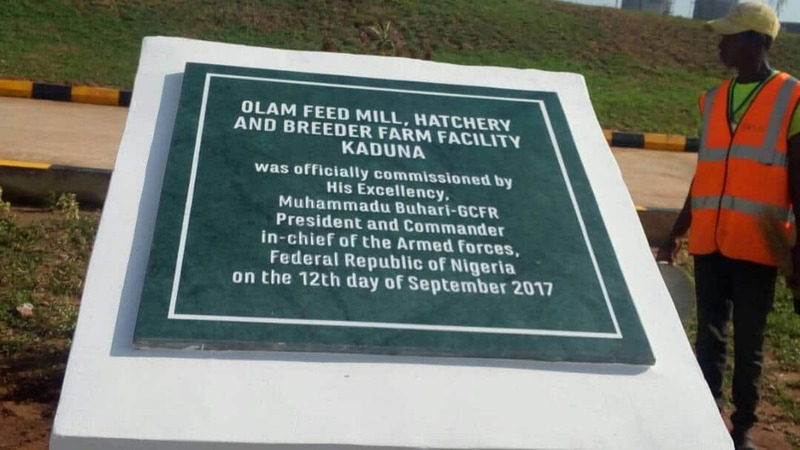 President Muhammadu Buhari is presently in Kaduna State to commission an integrated Feed Mill and Poultry in Chikun Local Government Area of the state. Naija News gathered that the commissioning of the feed mill and poultry follows several efforts by Governor of Kaduna State, Nasir El-Rufai, to attract more private sector investors to the state. It was learnt that the facility was constructed at $150 million and consists of a feed mill, hatchery and breeder farm. It is owned by Olam International, an agri-business firm operating from seed to shelf in 70 countries, supplying food and industrial raw materials to over 23,000 customers worldwide.